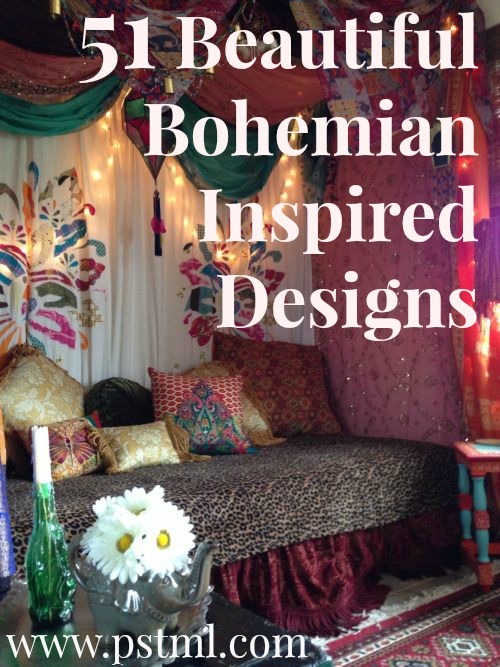 The Bohemian (or Boho) design captures the carefree and experimental essence of the namesake lifestyle. 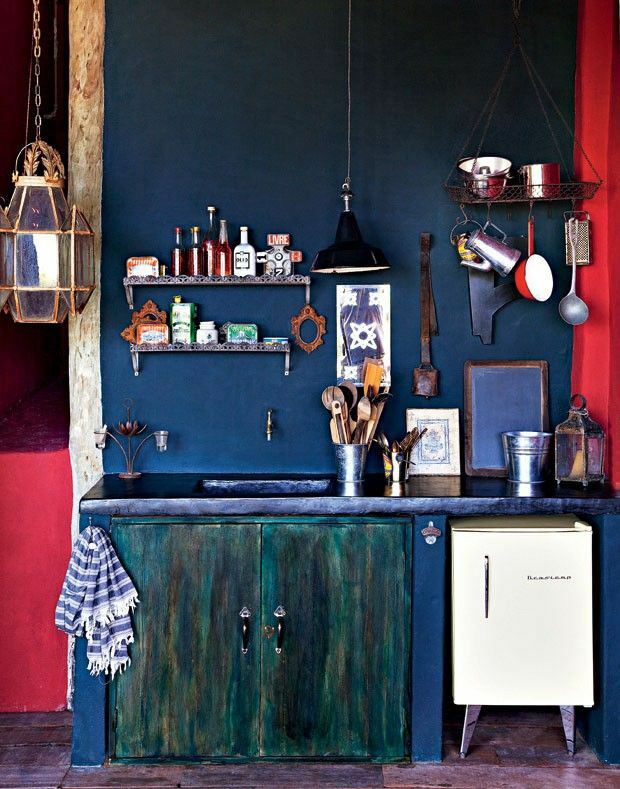 A bohemian interior décor is characterized as casual, a bit unconventional and infused with artistic elements. 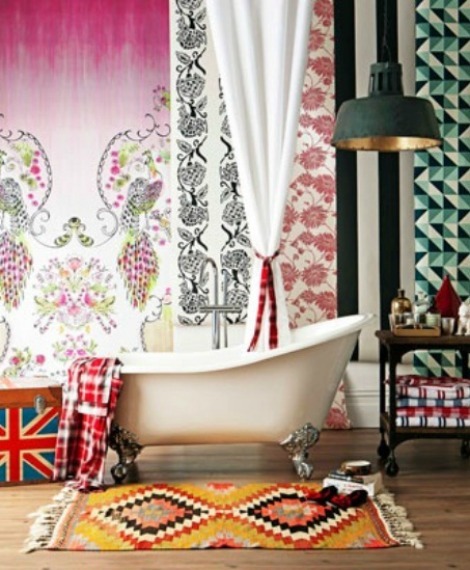 Dressing your home that way is anything but boring. 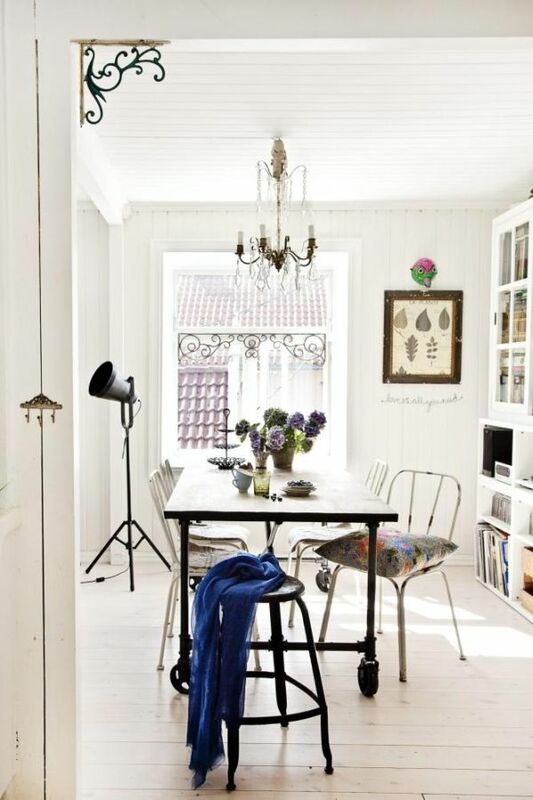 It’s fashion-forward, relaxed, cozy and very stylish genre of decorating. 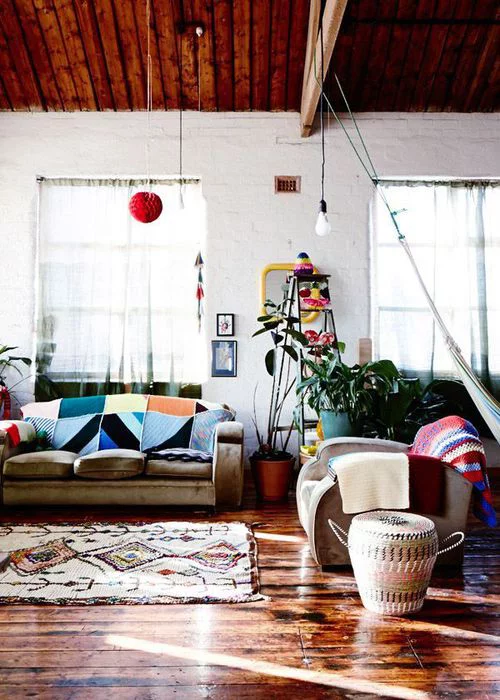 Creating a stylish bohemian home means a little bit eclectic and a little modern, but always colorful and very fun. 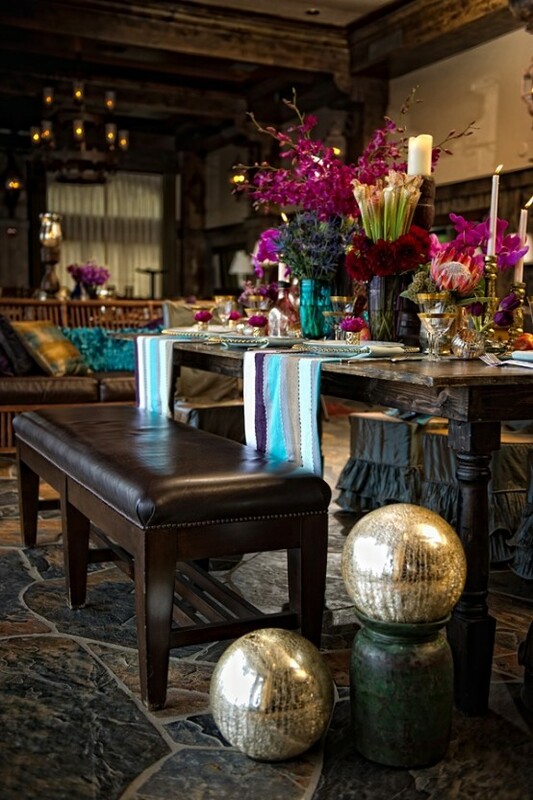 It means creating an absolutely different and your own personalized atmosphere. 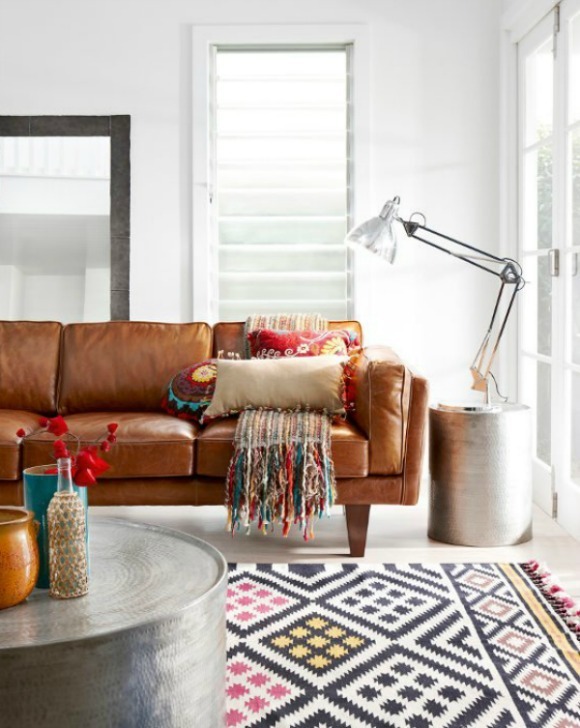 Actually, the best feature of this style is that you can mix and match as you wish because the bohemian look is very forgiving. 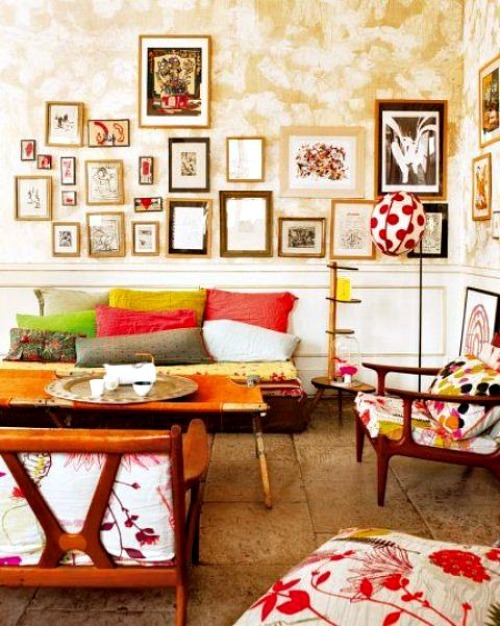 You can throw totally different art pieces together, mix vintage with contemporary and mix colors and patterns. 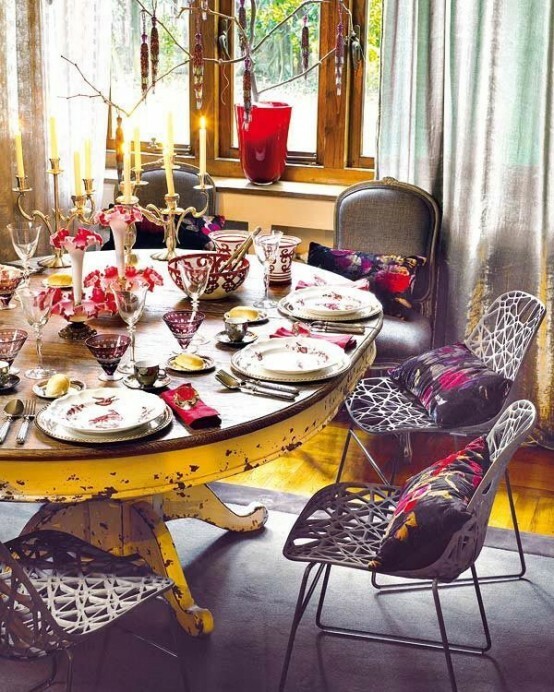 It features heavy use of vibrant colors, bold hues, especially those with red or purple tones. 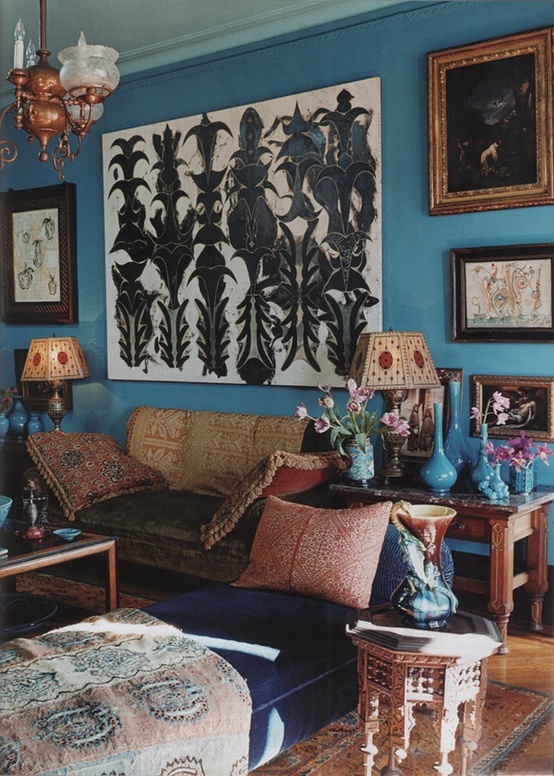 Color can be subdued, rich, bold, or barely there. 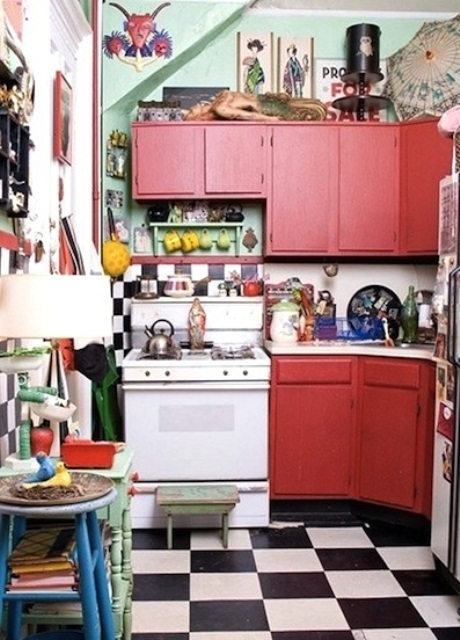 It can be neat with few objects or items arranged in collections, or a bit disheveled. 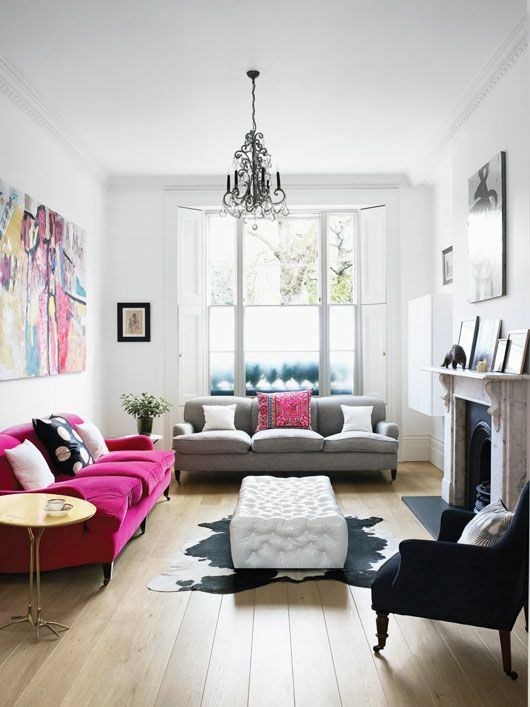 Traditional design “rules” are thrown out the window, replaced by a casual beauty. 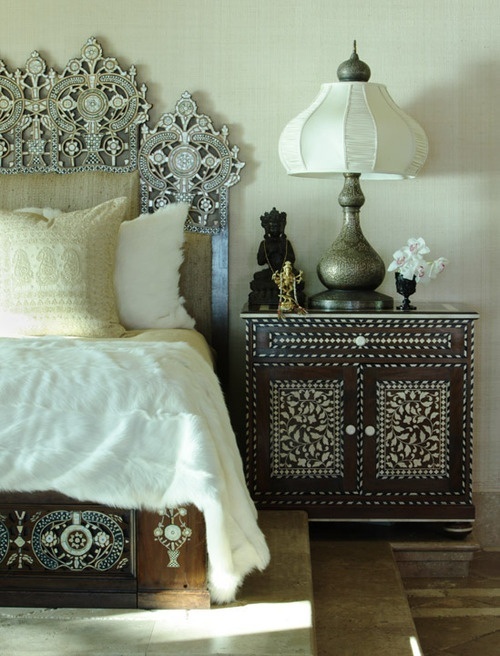 It’s all about textures and details. 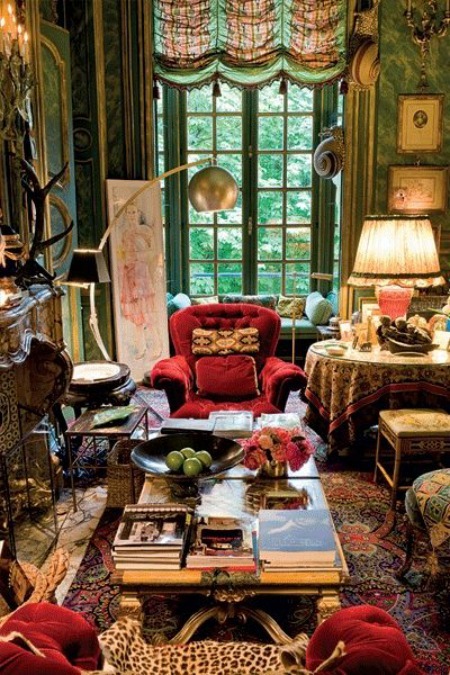 The key is to carefully present a purposefully “messy” look. 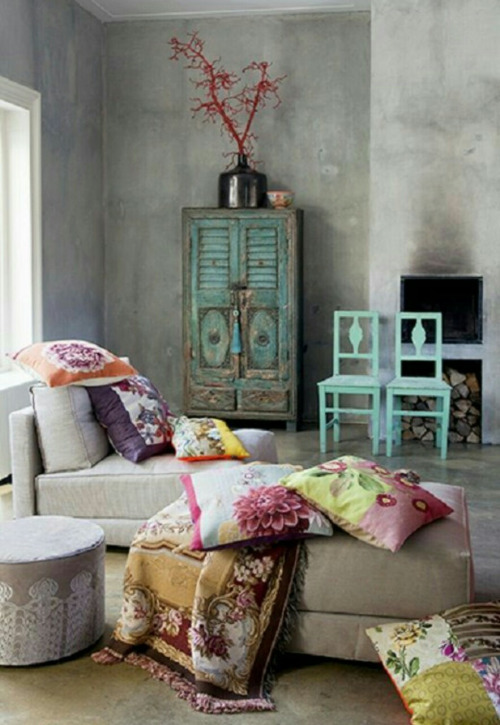 Layer on textiles (throws, pillows, rugs, tapestry) for a warm feeling. 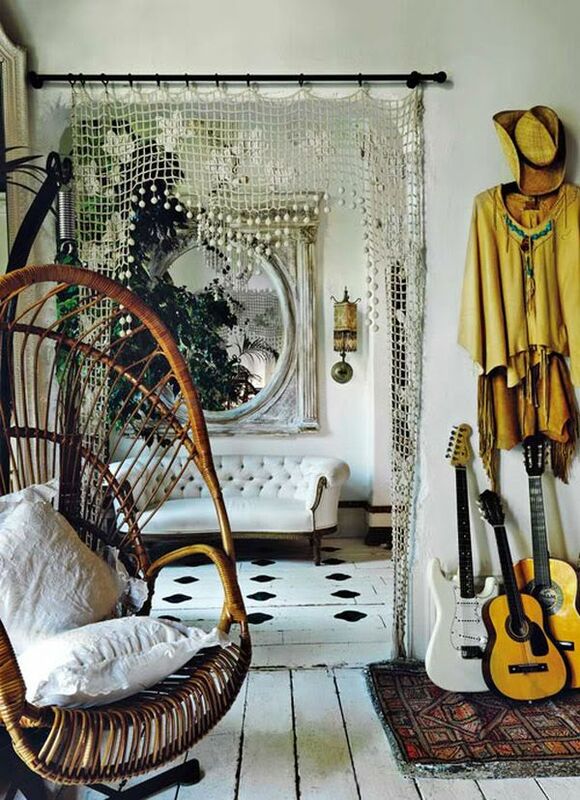 You can mix boho with other styles. 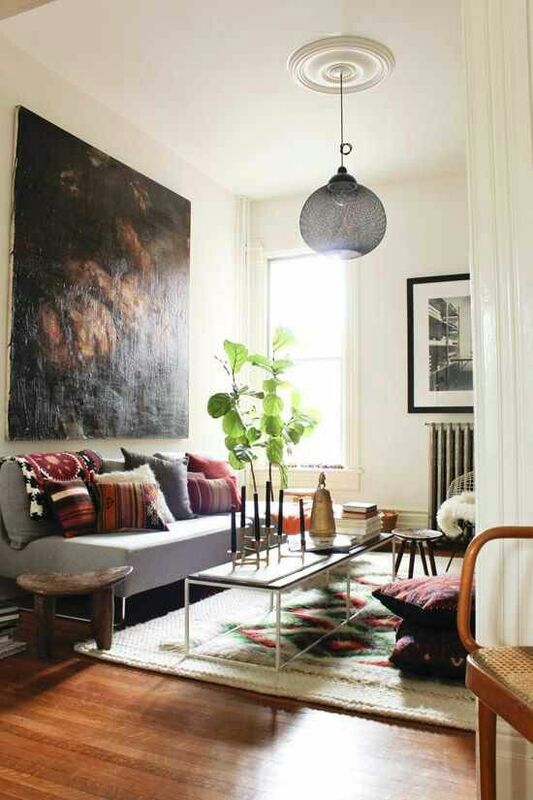 There are some essentials that can help you decorate your home in this gorgeous eclectic style. 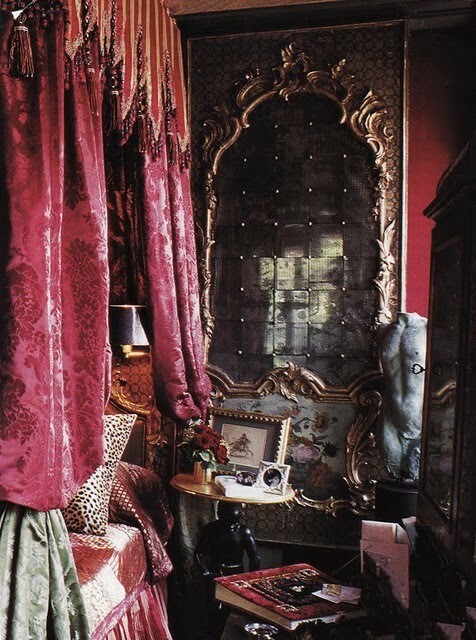 First is antiques. 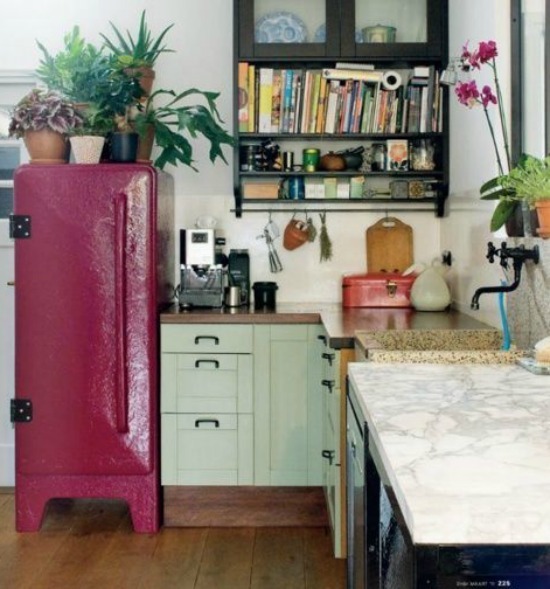 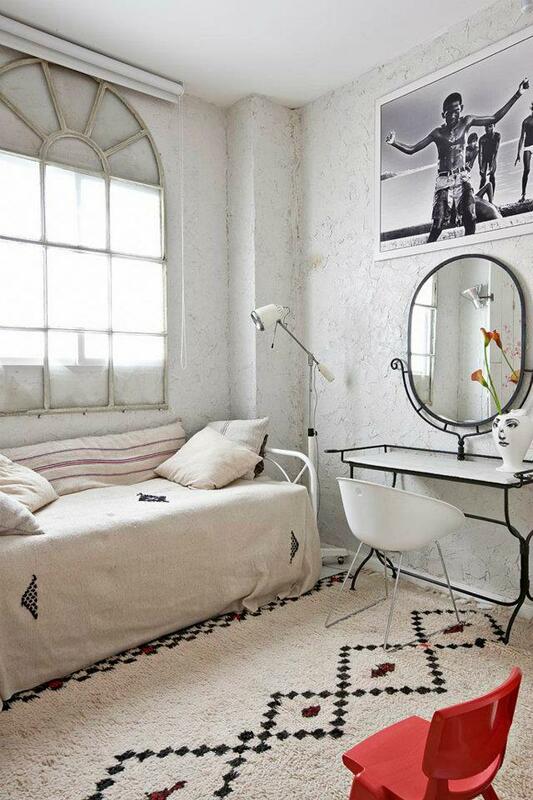 You’ve got to be open to decorating with things that have a vintage flair. 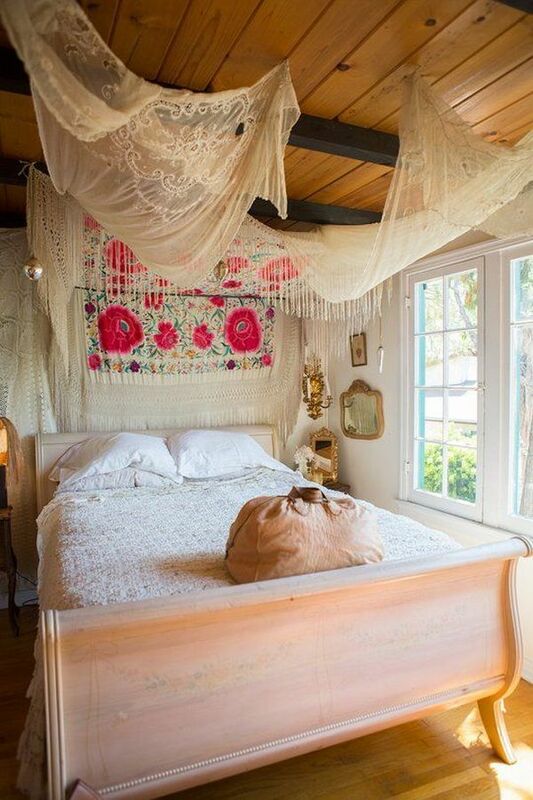 Whether it’s an antique headboard or a vintage chandelier, the layers of mixing old and new is the best part of the boheme feeling. 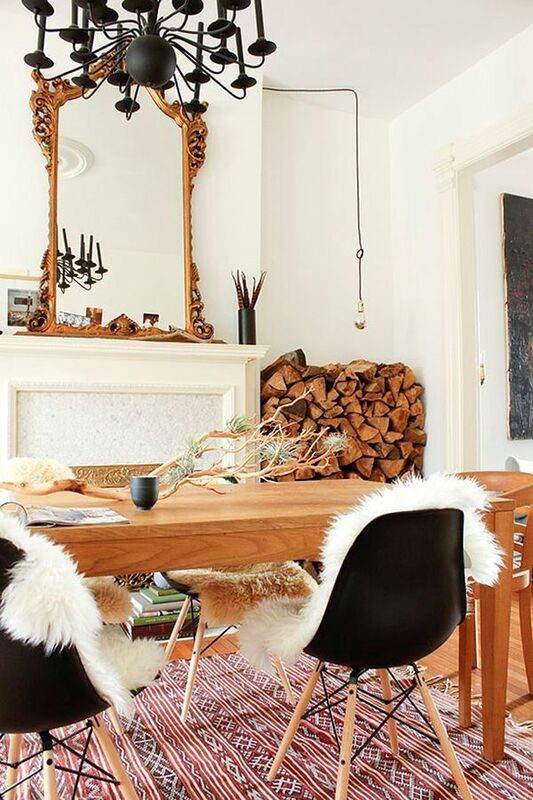 Boho glam is all about layering. 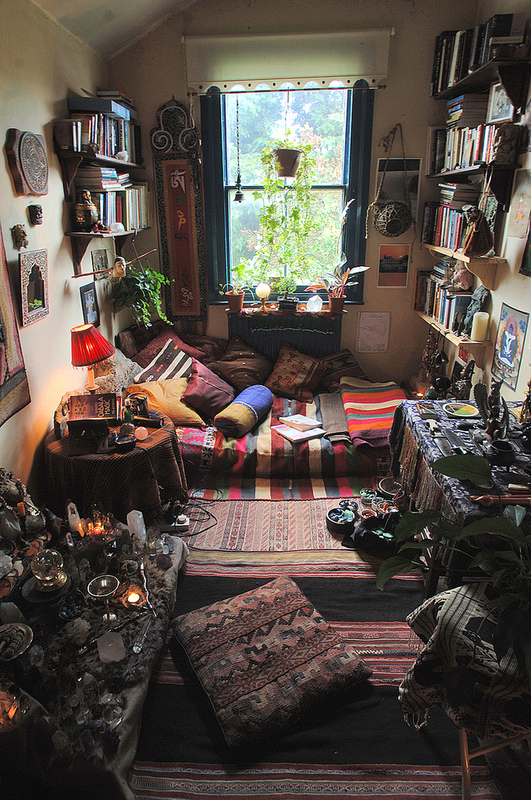 There is something about candles that goes with boho. 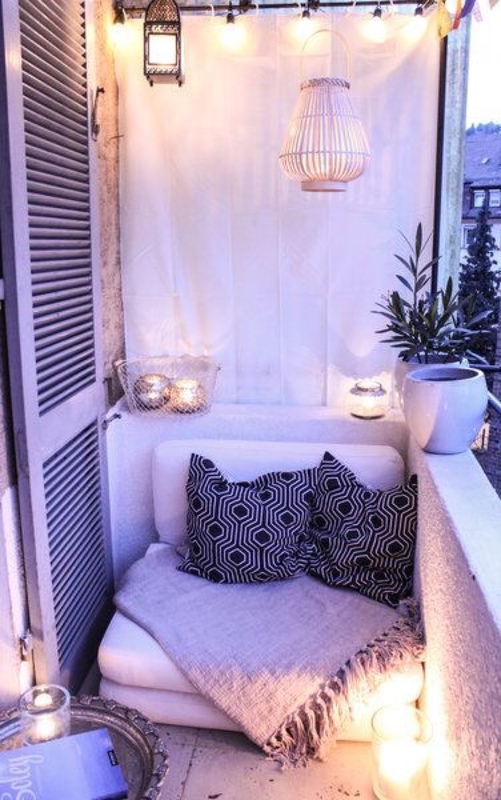 And lanterns create an atmosphere of warm weather outdoor glow that is essential for bohemian living. 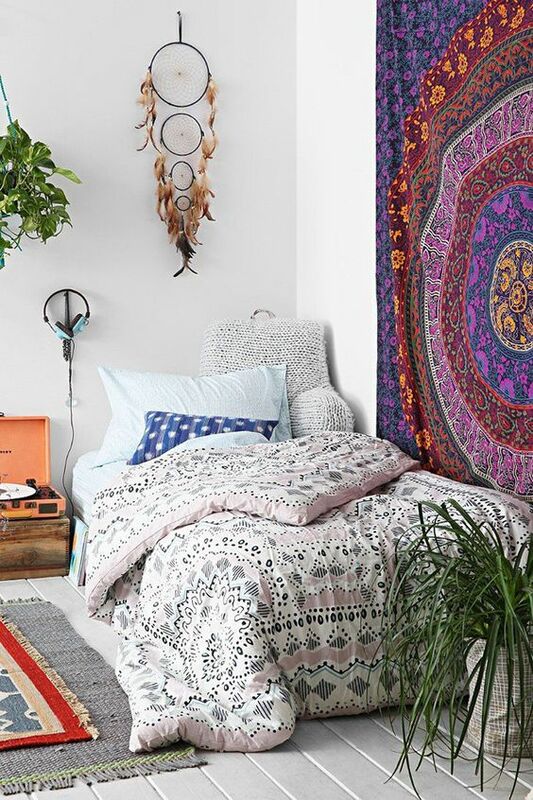 Two things that say boho more than anything are pillows and rugs. 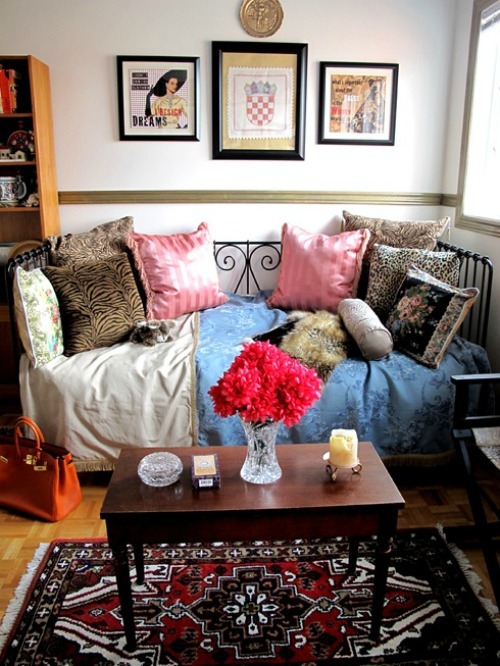 Pile on the pillows. 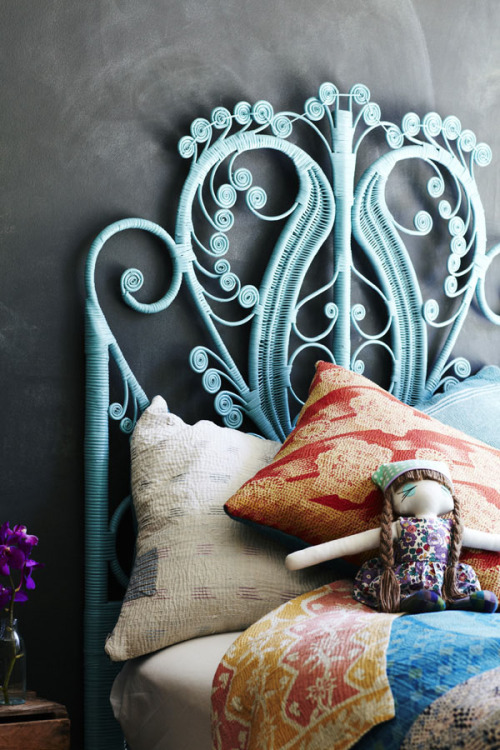 No matter what room it is, the more pillows the merrier. 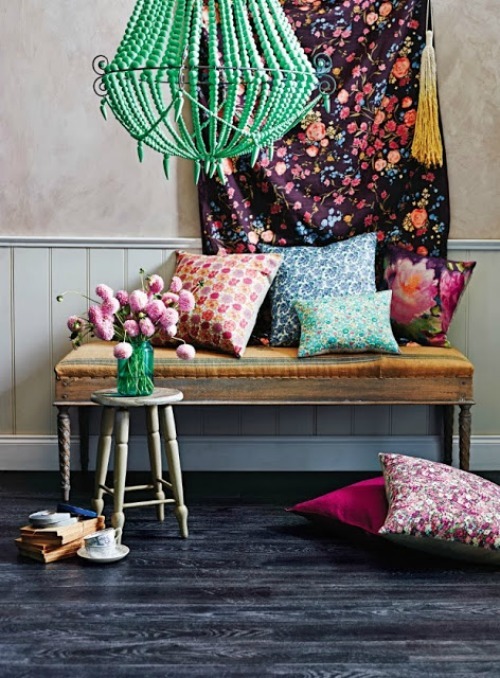 Textures and fabrics are what make a space feel bohemian, so don’t be shy with this must have element. 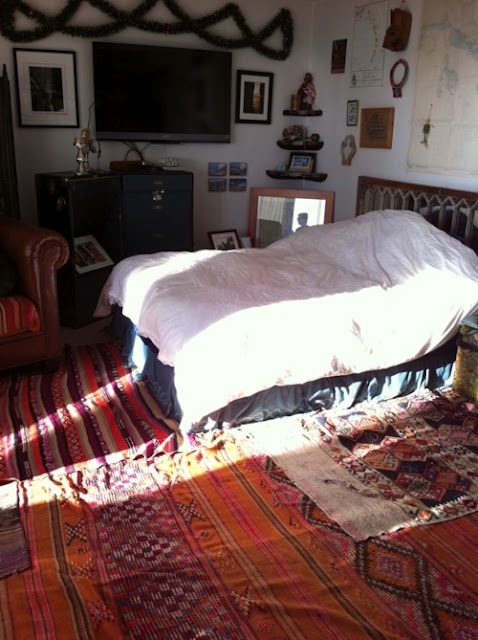 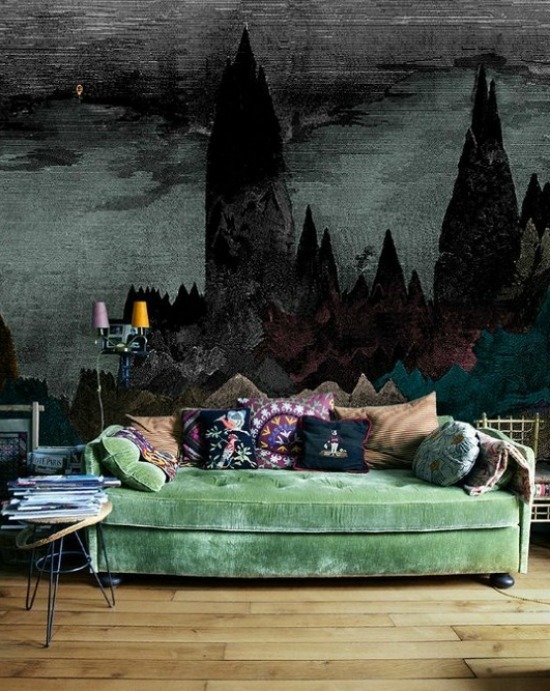 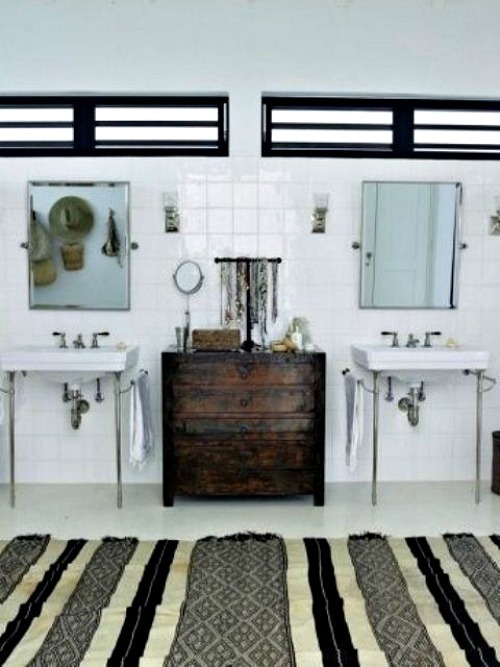 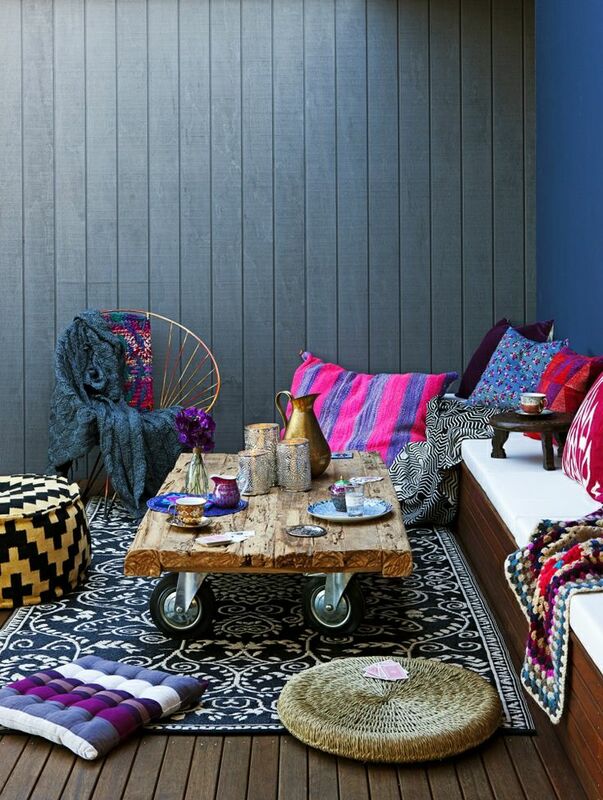 And you want to pull the whole look together with a flokati or Moroccan rug. 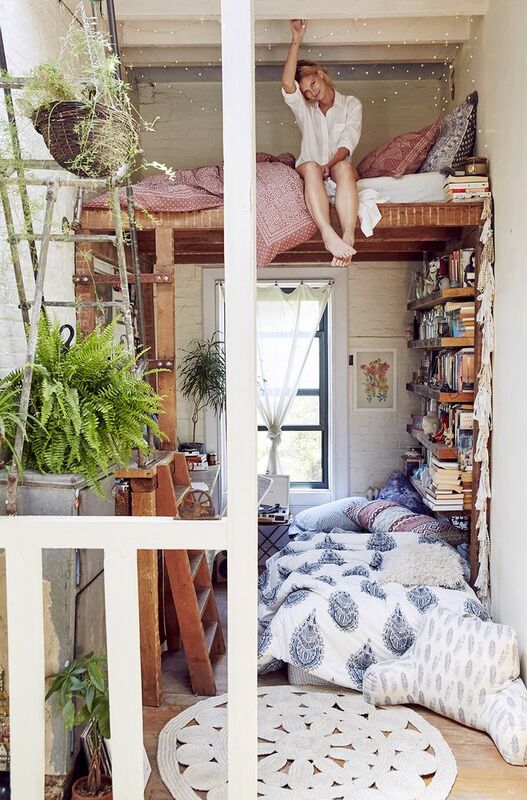 Something that your feet will just sink into. 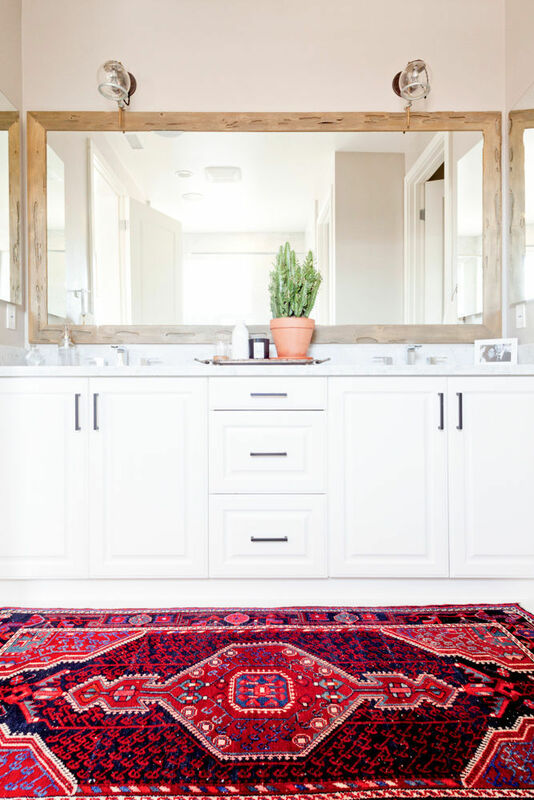 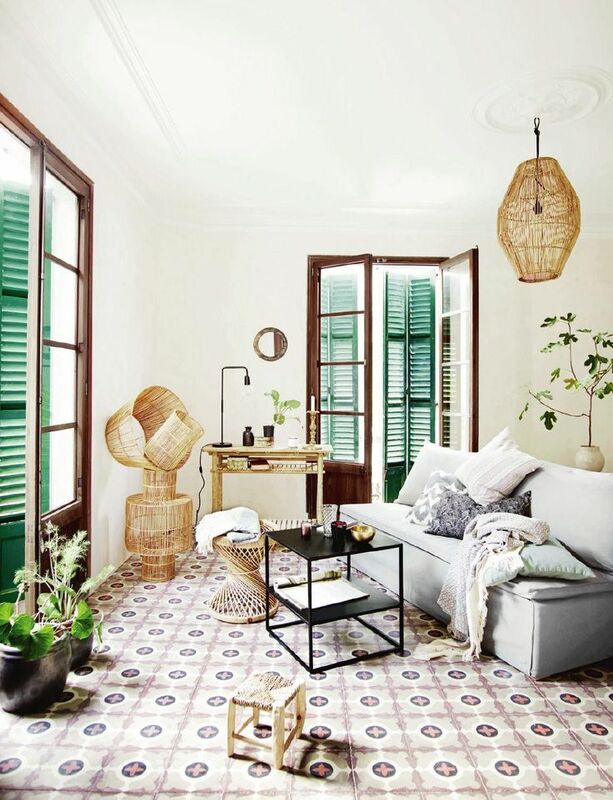 Our Turkish towels go very well with this kind of home decor. 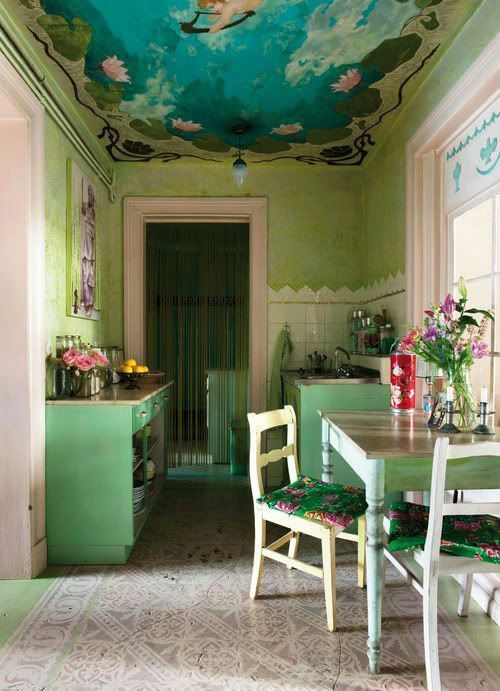 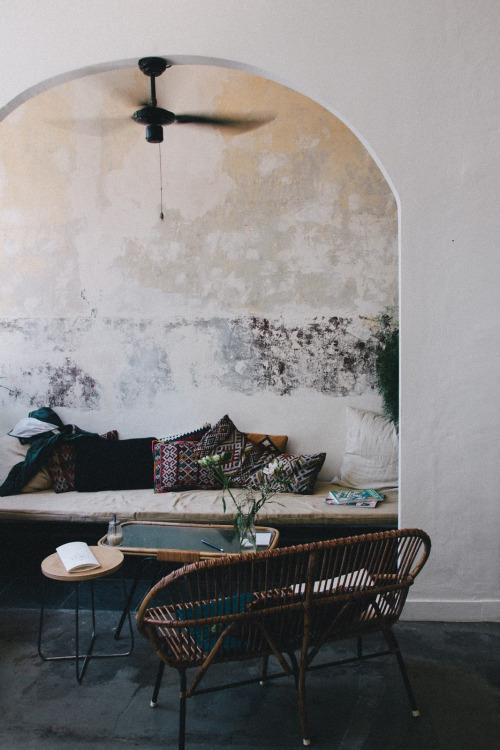 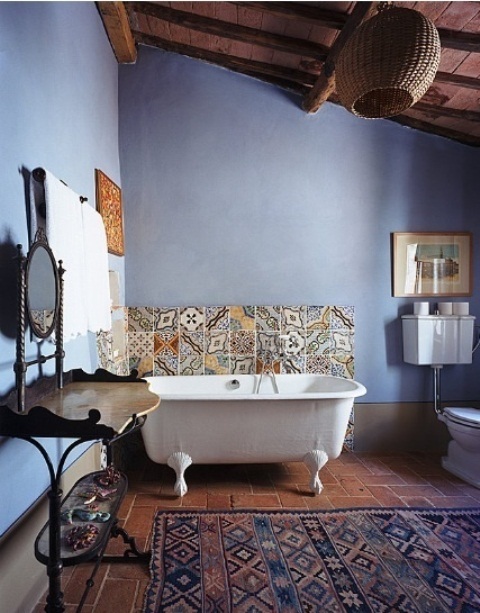 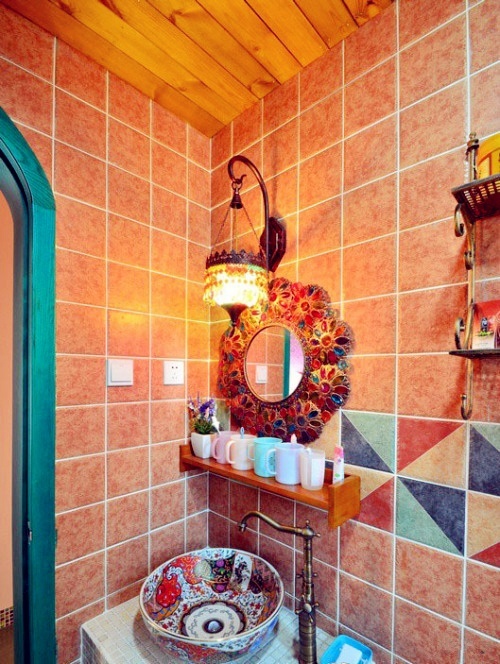 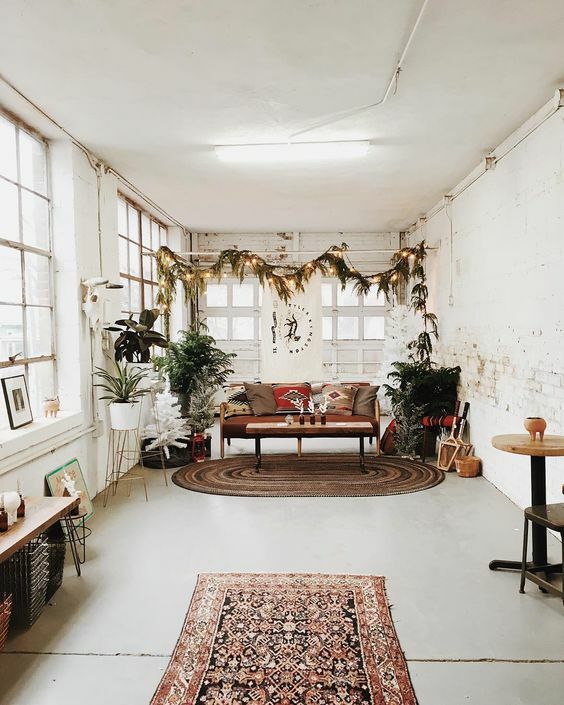 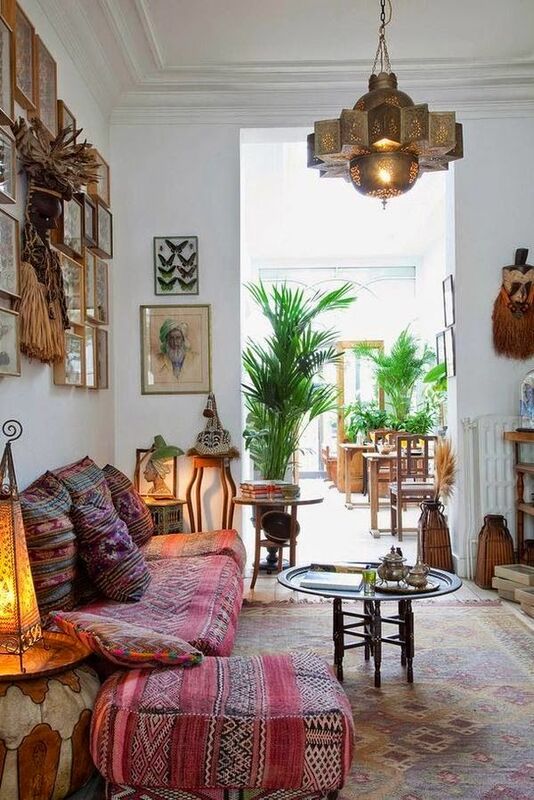 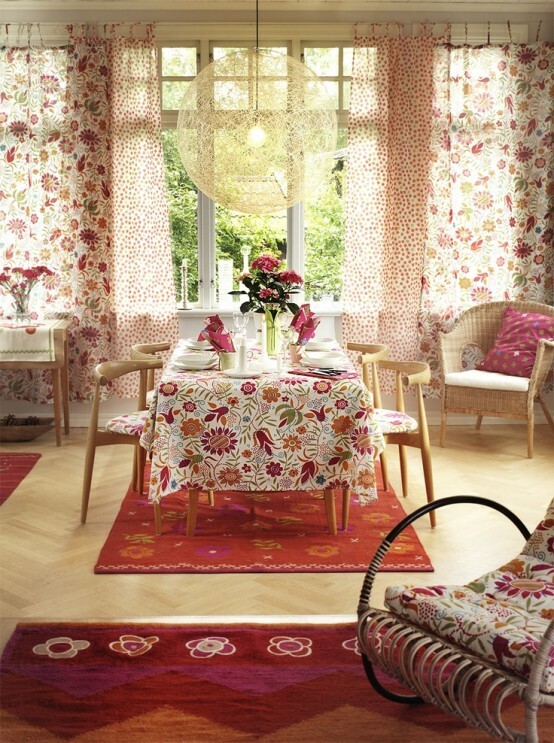 Have a look at these charming interiors in Bohemian style and enjoy. 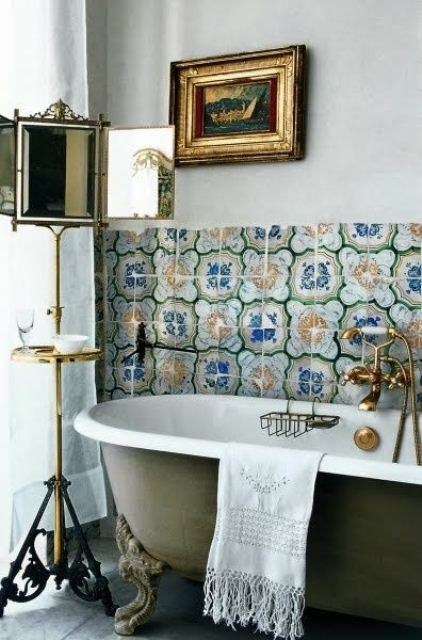 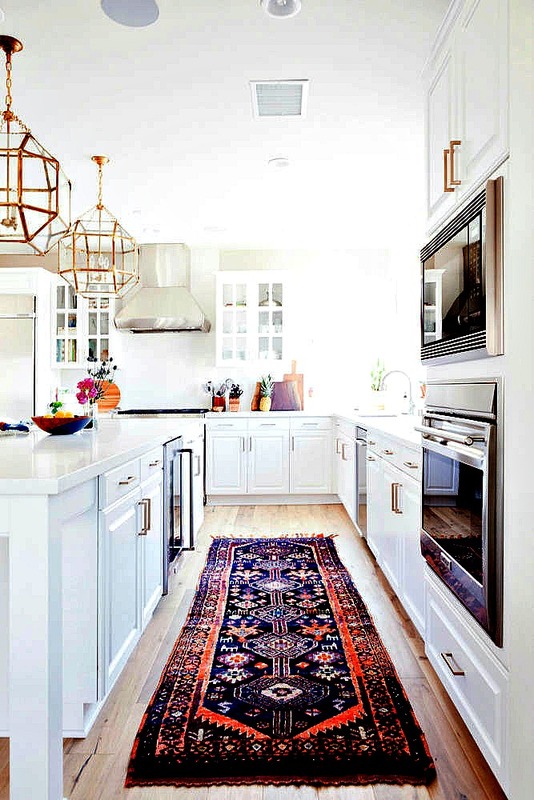 This entry was posted in Design, Home decor, Inspiration and tagged bohemian, boho, boho chic, home decor, home decorating, ideas, inspiration, modern, style, turkish towels.